This week at HOPE, we started our last session of parenting classes for the year. Every class is special, but the last one of the year always seems a little different. I am not sure if it because of the change in the weather or that the holiday season is quickly approaching, but the year-capping class session consistently brings a great sense of joy to all of us here at HOPE. Oftentimes when people ask me about our work they focus on our medical services and how we are different from other women’s health clinics. This makes sense considering the amount of time and effort put into providing the best medical services available to our patients. We want them to want to be here. We desire for them to feel safe and secure inside the exam room with our staff. This desire, however, doesn’t find its finality in an exam room. We also have a desire for these patients to be great moms. This is where parenting class comes in at HOPE. Through these five week sessions, we are able to serve these patients twice a week in an educational format with our staff, and once a week through mentoring. These weekly meetings aren’t just seen as random moments to lecture, but instead we see these timely meetings as gospel opportunities to love our neighbor. Our current class is made up of 20 patients from across our city, country, and the world as five different nations are represented. What a sweet truth that our Lord, in His sovereign nature, saw fit to bring the nations to us here in East Tennessee. This is why we do not take this responsibility lightly. We understand the importance of good education for our moms and appreciate their need for resources. We also, however, understand that the road they are on will be a tough one as obstacles continue to litter their path. This is why we saturate everything we do in prayer. We trust that God will move in their lives and we believe that God will provide for their family, but these truths don’t stop us from interceding on their behalf. We at HOPE are reminded daily of the brokenness of our world. We have truly seen it all. Yet, in this work and in these walls we are also reminded daily of how good our God is. 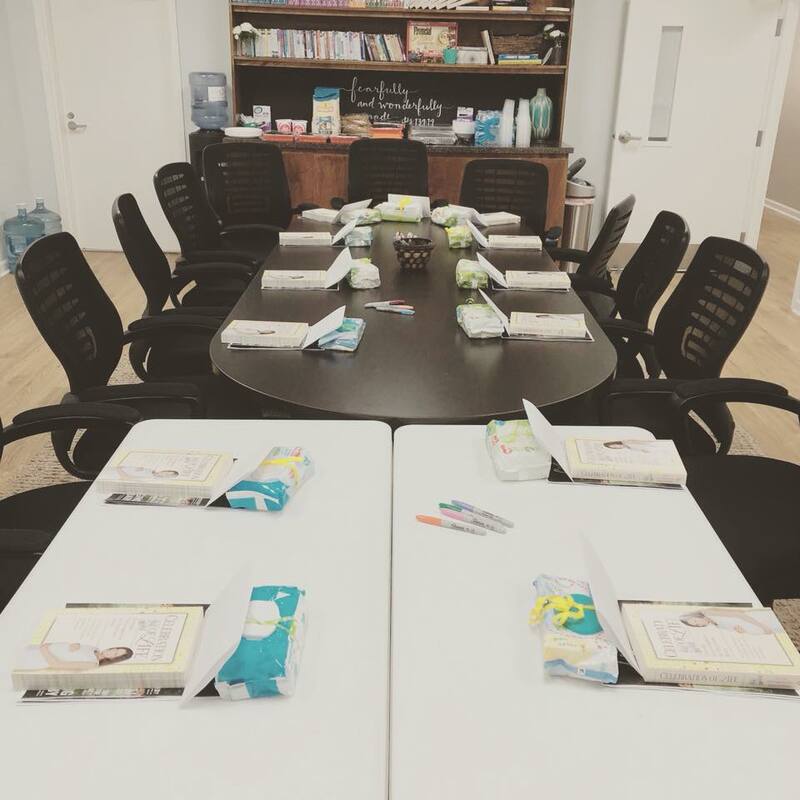 For the next month, we will host 20 moms for class. They will dine together, learn together, and pray together. Each of their stories are different, but yet the same. They will spend the next five weeks with our staff and volunteers as they anxiously await the arrival of their baby. These are pivotal weeks for their growth and preparation, and the Lord chose us to partake in this with them. That truth is not lost on me today. They could have gone anywhere, but they ended up at HOPE. We are thankful for that today, and I am thankful that you helped us make that a reality for so many.